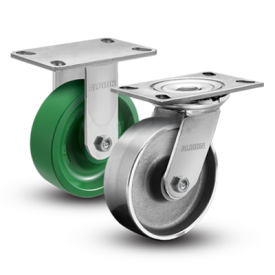 Offering thicker legs and a 3/4″-diameter axle, the 63 Series improves on the popular 62 series for increased capacity. 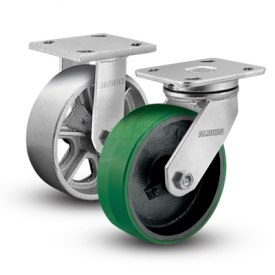 Manufactured from cold-formed steel, 63 Series casters can withstand most heavy duty applications. 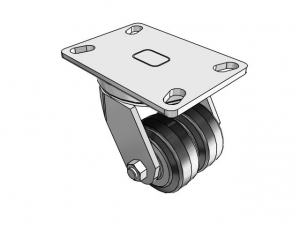 Zerk fittings in heat-tread swivel section and in recessed head of hollow axle provides easy maintenance. Each rig is zinc-plated for increased corrosion resistance.